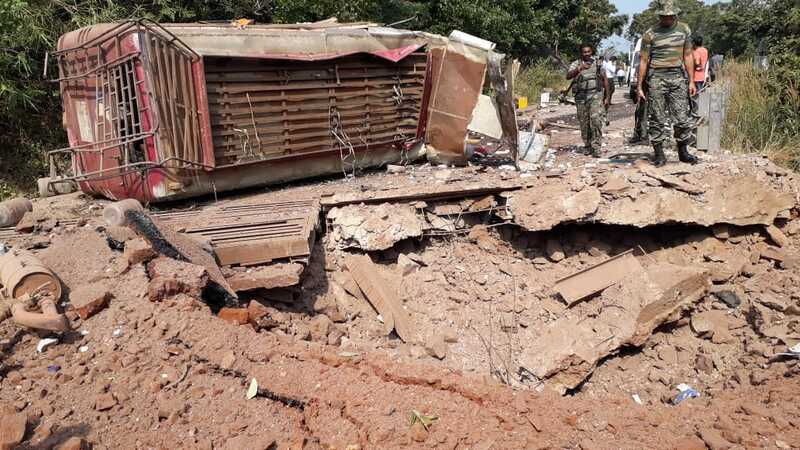 Four civilians and a CISF jawan were killed when suspected Naxals detonated a bus with an improvised explosive device in Chhattisgarh's Dantewada district on Thursday. The attack comes four days before the first phase of elections are scheduled in the state. It is the third Naxal attack in 15 days in the poll-bound state and comes before Prime Minister Narendra Modi's scheduled visit on Friday to Jagdalpur district to campaign for the BJP. Reinforcements were rushed to the spot and the injured personnel and bodies of the deceased shifted to a local hospital. On October 30, three police personnel and a cameraman of Doordarshan News were killed in a Maoist attack in Dantewada's Aranpur area. Naxalites have asked voters to boycott the upcoming state Assembly polls, being held over two phases on November 12 and November 20.